After prompting some rather crazy speculations (Aliens? Matt Damon? Is Elon Musk allowed to nuke it? ), NASA finally revealed its major scientific finding – liquid water flows on Mars. 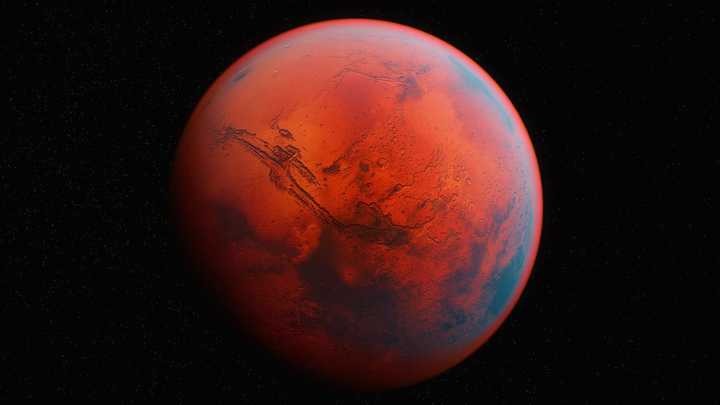 Now that the Mars mystery is solved, are we one step closer to living on the Red Planet? Many companies are eager to explore the final frontier, and the possibility of life majorly abroad, via the NewSpace movement. The movement made its mark in the late 1990s after a dramatic increase in private sphere efforts to reach outer space without the help of NASA or other governmental agencies or contractors. Silicon Valley is completely reinventing space travel and exploration. So here are a few of our favorite companies in the NewSpace era – we think they’re out of this world. This one’s a given; the brainchild of Elon Musk, SpaceX designs, manufactures and launches advanced rockets and spacecraft. The company was founded to revolutionize space technology, with the ultimate goal of enabling people to live on other planets. Blue Origin is an aerospace developer and manufacturer set up by Amazon.com founder Jeff Bezos. The company develops technologies to enable private human access to space with the goal of dramatically lower cost and increased reliability. Bagaveev designs, builds and tests 3D-printed aerospike rocket engines that will power both lower and upper stages of a 3-ton, 35 foot rocket, designed to deliver 10-12 kg nanosatellites to low Earth orbit and Sun-synchronous orbit. Both stages of the rocket are designed to be reusable from the very beginning. This approach is different than conventional proposed solutions of hybrid or pressure-fed engines that are difficult or nearly impossible to scale. Virgin Galactic is a spaceflight company within the Virgin Group. It’s developing commercial spacecraft and aims to provide suborbital spaceflights to space tourists, suborbital launches for space science missions and orbital launches of small satellites. The company also plans to provide orbital human spaceflights, as well as develop an orbital launch vehicle. Built on a philosophy of international cooperation, Deep Space Industries has assembled a world-leading team with unparalleled experience in asteroid geology, mining, spacecraft design, astrodynamics and entrepreneurship. DSI will harvest, process and manufacture resources found on Earth and in space in order to create a reliable supply chain of products, fuel and building materials in space. Masten lowers the barriers to space access through reusability. As the core enabling technology, it focuses on entry, descent, and landing technologies (EDL) to ensure precise and safe landings on planets and other celestial bodies. With a long-held passion for the space industry, Bright Ascension offers a fresh and innovative approach to engineering research and development in the space industry and other high technology areas. NanoRacks is committed to helping stimulate the market demand across all orbiting platforms by creating a commercial climate conducive to allowing new users – from students and researchers to government space agencies and individuals – to conduct research, design experiments, tinker, make mistakes… and potentially realize wonderful breakthroughs in low-earth orbit and beyond. Oxford Space Systems is set on becoming the leading supplier of deployable space structures globally. Oxford Space Systems currently works in three principle areas of development: deployable panels, flexible composite boom systems and large deployable antennas. Development collaboration contracts are under way with Europe’s largest satellite builders as well as emerging players in the microsat and cubesat markets. If plummeting through Earth’s atmosphere at the speed of sound inside a ball of fire doesn’t sound particularly fun, Made in Space, creators of the world’s first zero-gravity 3D printer, now makes the material used to print 3D in space for sale. Blast off with Index and see the whole list of deep space companies here.